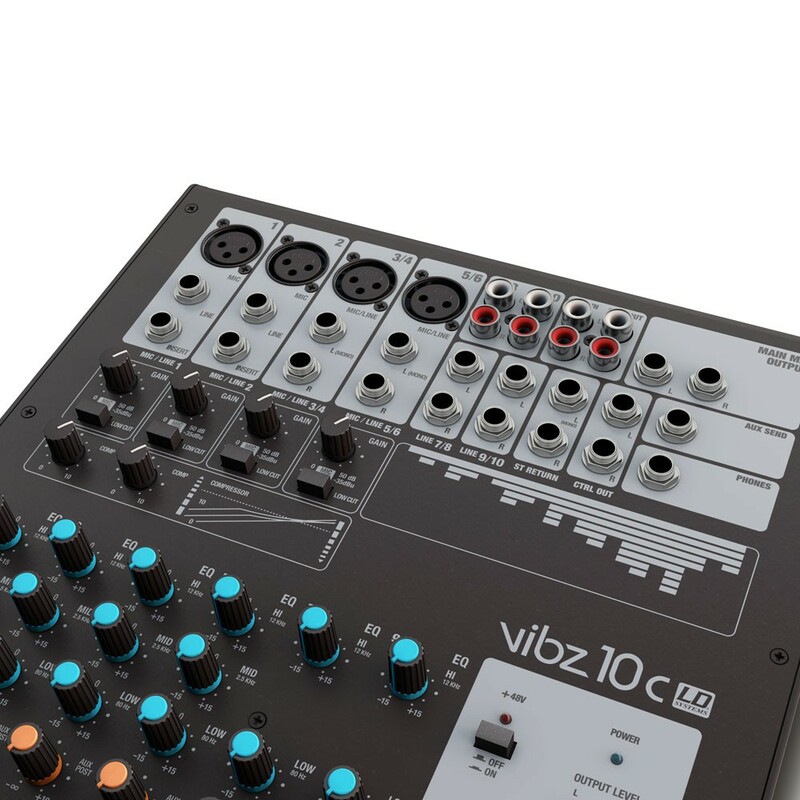 The VIBZ 10 is a versatile mixer with four balanced microphone inputs featuring high quality preamplifiers, a low-cut filter and switchable phantom power. 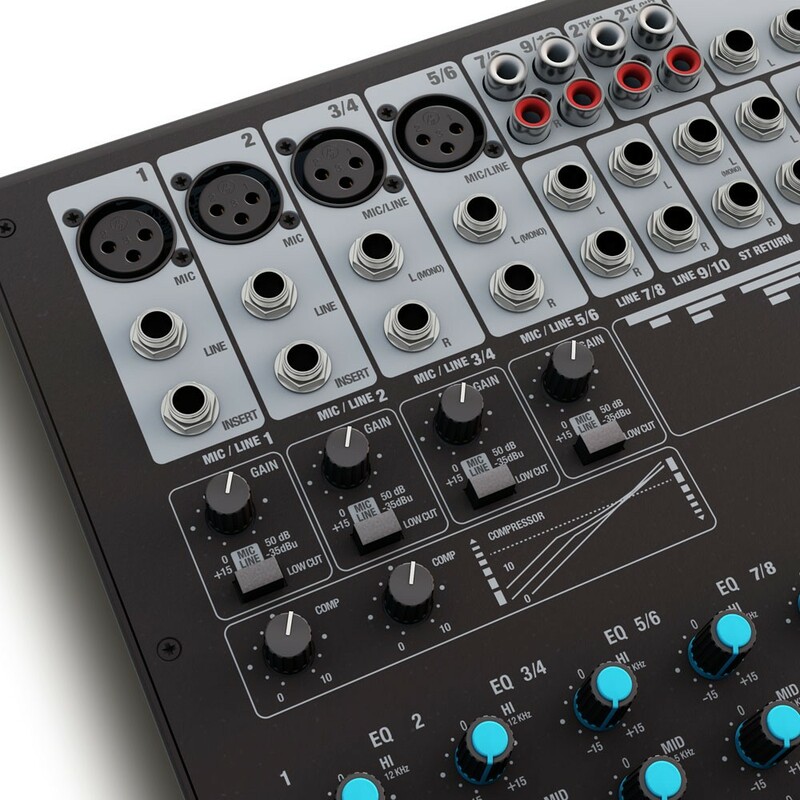 Two microphone inputs are equipped with inserts for individual signal processing, two more can alternatively be used as stereo line channels. 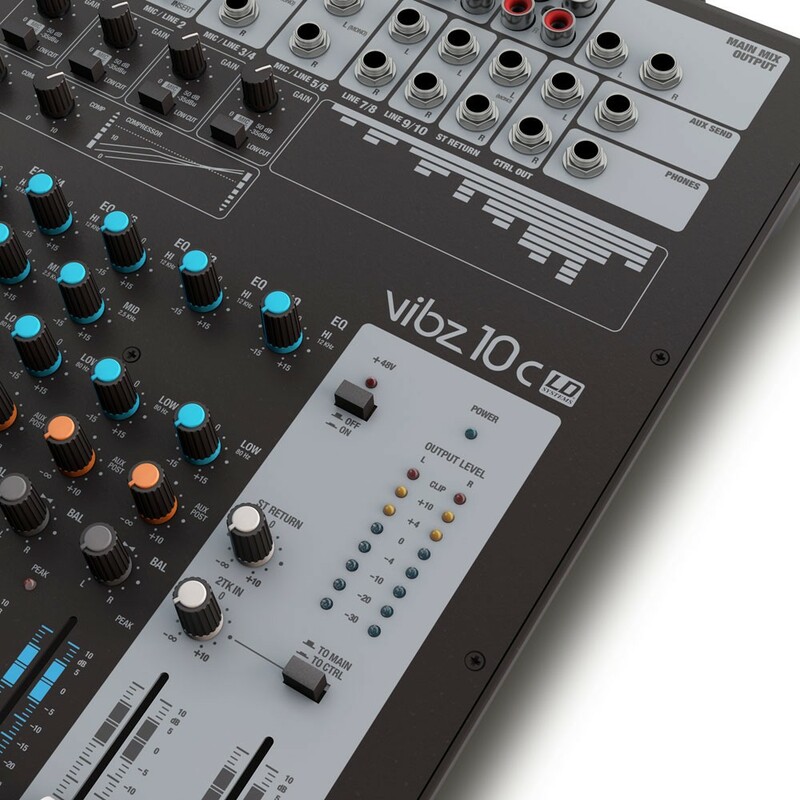 For an effective sound adjustment, the VIBZ 10 has very precise 3-band EQs with conveniently selected mids; two stereo channels can be adjusted with 2-band EQs. 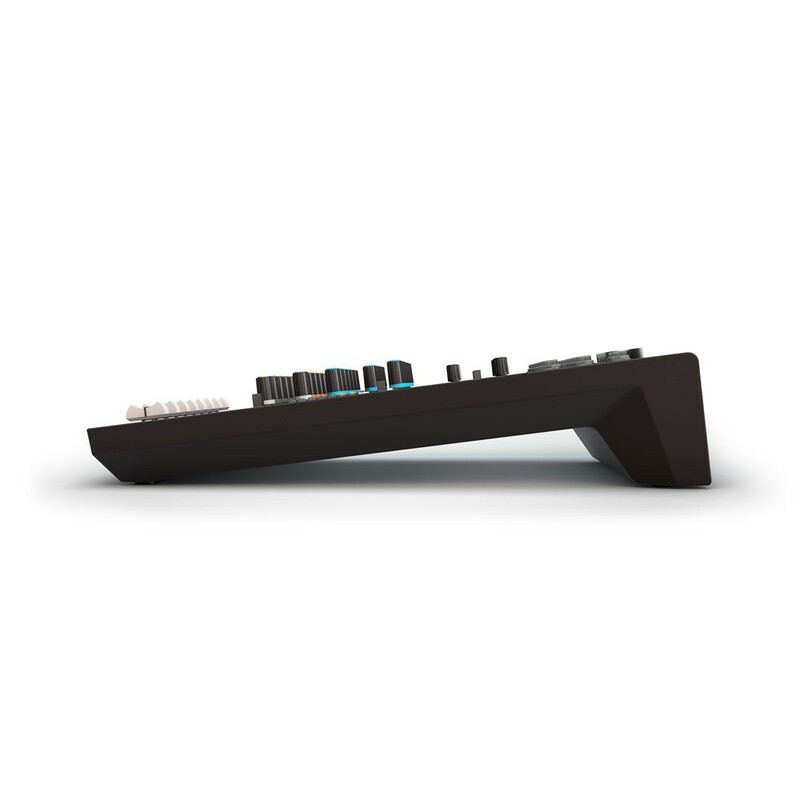 The built-in compressor can be continuously adjusted for effective dynamics processing. 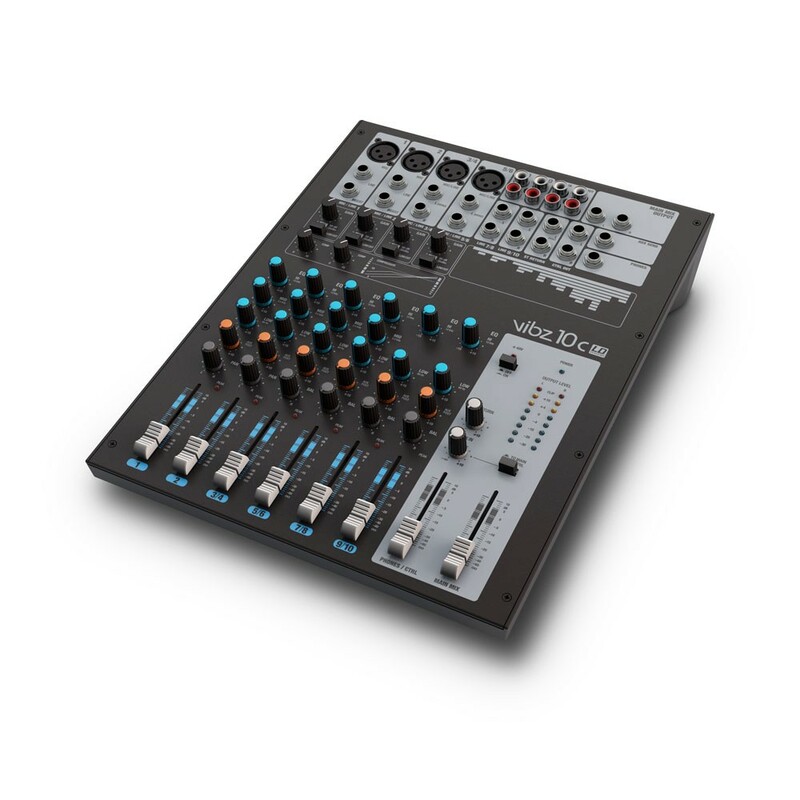 The master section of the mixer has an effects loop, adjustable monitor outputs and a headphone jack. 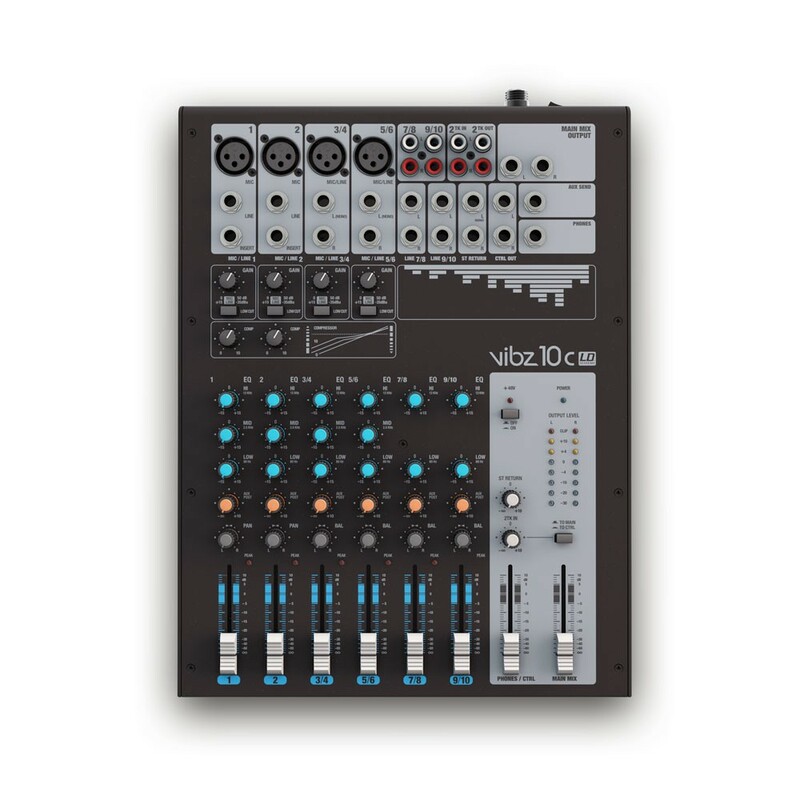 The VIBZ 10 also has inputs and outputs for recording and playback devices; the input signal can be set on the master or monitor output and the volume adjusted. 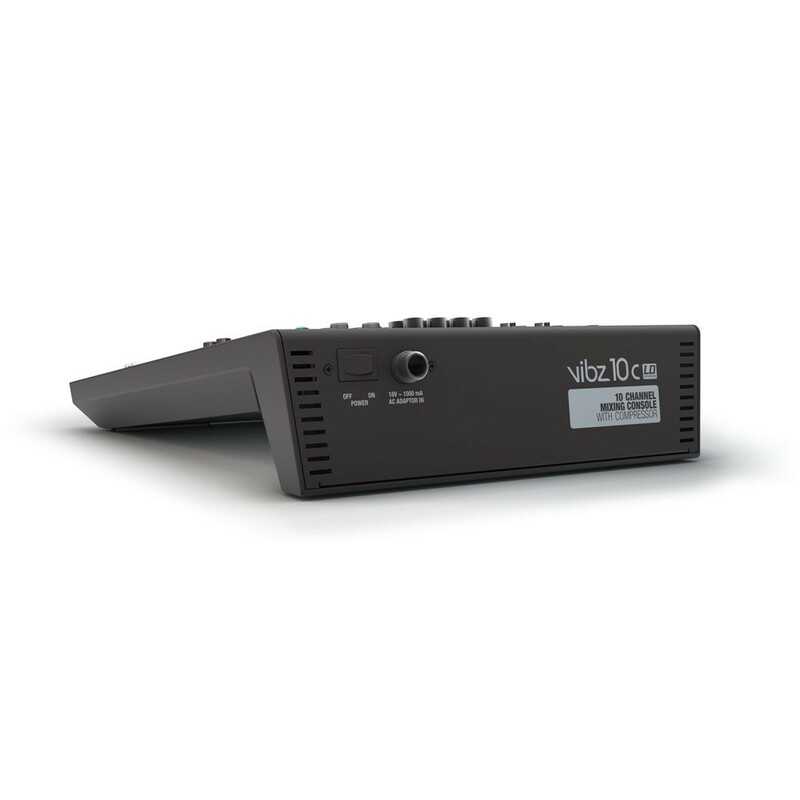 With its transparent, detailed sound and easy operation, VIBZ 10 is the perfect choice for small bands, installations and home recording or sub mixer applications. 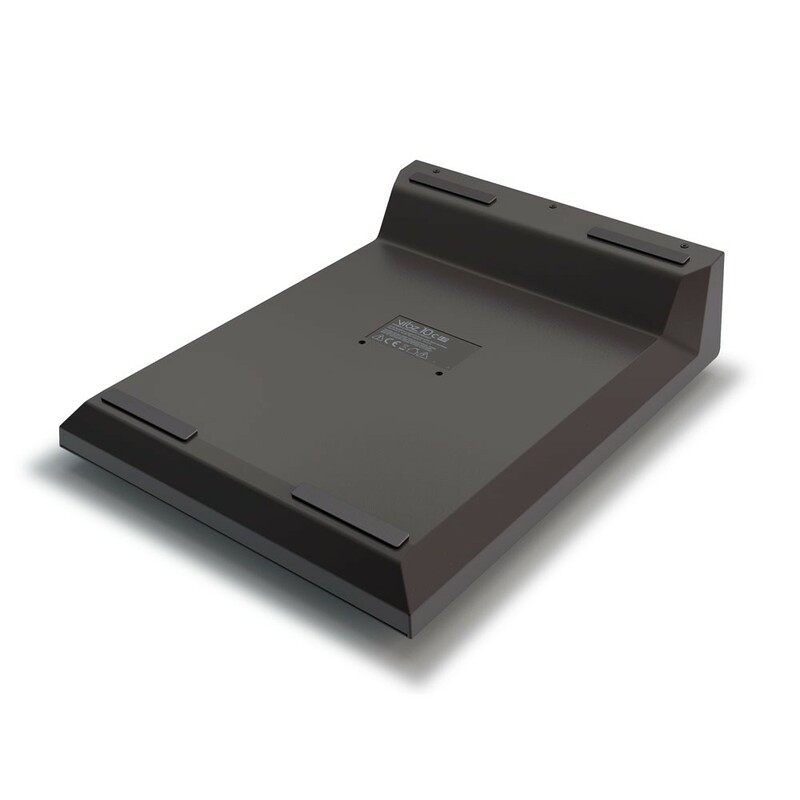 It comes with an external power supply that can be tightly secured to the mixer. 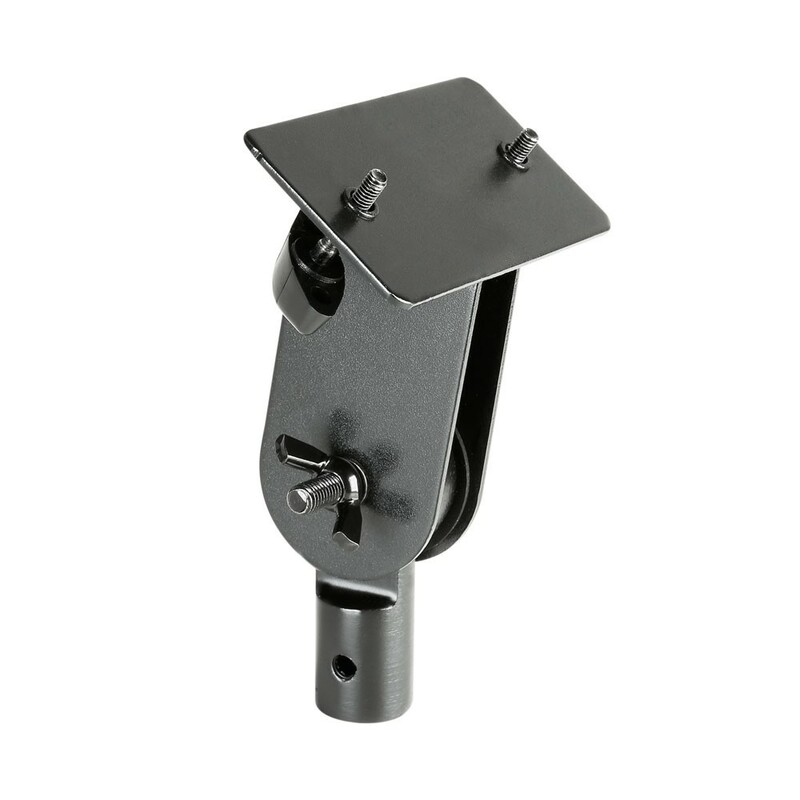 A foot switch for the effects section and an adapter for mounting the VIBZ 10 on microphone stands are available as accessories.